You’ve been driving for years. The feel of the road, the flow of traffic, the responsiveness of your car with each turn – it’s all integrated into you as one flowing reflex action. But what if you could be a better driver? Why should it matter? Talk with any of the Victoria driving school instructors; they can share with some excellent reasons that even experienced drivers can benefit from refreshing their driving skills. You can proudly point to few (or no) traffic citations, no significant accidents (or even minor bumper crunchers), and your insurance rates reflect your good driving record. Congratulations on being a good enough driver. Checked the mirrors, your seat position, and looked all around you before you shifted your car into gear? Actually looked over your shoulder (instead of relying on the mirrors or your “instinct”) before changing lanes? You slowed down when driving in poor visibility or weather conditions? Remembered to signal for at least three seconds before turning? Texted or answered phone calls while driving? Allowed at least three seconds’ travel time behind the car ahead of you? How can I be a Better Driver? You haven’t driven for a while: Not everyone can easily get behind the wheel after months (or longer) away from driving. Recovery from an injury or illness, lack of a car, or a suspended license can happen and just like muscles can rapidly atrophy from disuse, so can driving skills. 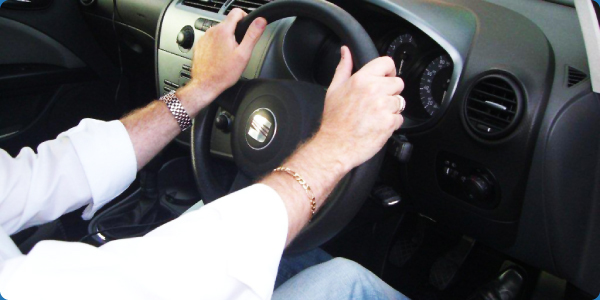 Victoria driving school instruction can help you regain skills and confidence you need to safely drive again. You’ve been driving for years but are always anxious behind the wheel: Evaluation by a skilled Westshore Driving School instructor can identify poor driving habits and help the anxious driver develop a set of skills “tools” for more effectively handling various driving conditions. You are an older driver: The driving skills you developed as a young motorist may not be as safe or appropriate for today’s driving conditions. A driving instructor can assess your current skills and help you update them, enabling you to remain an active driver for years to come. By the way, many insurance companies offer reduced rates for senior drivers who take safety refresher courses! Before you rack up one too many tickets, have another “near miss” or accident, or stress out before the next road trip, consider booking a set of refresher driving lessons from one of the Westshore Driving School specialists. You and your fellow road warriors will be glad you did.